The idea of having a treatment to get rid of toxins, then topping up with a glass (or two) of fine wine may seem contradictory to some. Yet a fine wine can be relaxing and sensual; the perfect complement, therefore, to a spa experience. With so many beautiful spa hotels set in, or near, vineyards, we think wine plus spa could be a marriage made in Elysium. A sprawling, whitewashed property with a bright terracotta roof, Patios de Cafayte is a traditional hotel set in front of the majestic Andes mountains, and within the El Esteco winery. Don’t miss the opportunity to travel along the 10km Cafayte winery circuit – by car, on foot or on horseback – stopping at the many wine cellars along the way to sample full-bodied Cabernet Sauvignon and Malbec varieties. Back at the ranch, take respite from the heat with a dip in the outdoor pool, or wander around the immaculate gardens where herbs, tomatoes, peas, fruit and flowers are grown for the restaurant’s kitchen. Massages, reflexology and Reiki are on the menu in the hotel spa. Come evening, take part in a wine tour or a blind tasting session, or have a go at making your own. Margaret River may be a small town in Western Australia, but its vino production is well known in wine circles. The region’s fertile soil is ripe for grape growing, and wine connoisseurs will find excellent Chardonnay, Sauvignon Blanc, Cabernet Sauvignon and Merlot in 150 wineries here. The Injudup Spa Retreat is an ecofriendly, all-villa property set in 3,000 acres of national park. Each of the 10 beachfront villas has its own plunge pool and offers stunning views of the ocean, where humpback whales can be spotted between June and September. The property’s neutral, tranquil spa has several treatment rooms for massages, Reiki, scrubs and reflexology; choose the signature Injudup Spa Massage and massaged outside on the terrace. You only have to read the list of winerelated treatments on the menu at this Sonoma wine country hotel and spa to "Swim in the hotel’s outdoor pool alongside vines heavily-laden with Riesling and Sauvignon Blanc grapes." realise that wine isn’t just for drinking in California. We love Kenwood Inn’s take on a Vinotherapy Bath – choose from Pinot Noir, Chardonnay or Sparkling and soak away while sipping your glass of choice. As for the rest of this Mediterranean-inspired inn (think ivy-clad exterior), there’s a heated outdoor pool with a swan-neck fountain, two outdoor hot tubs, 29 elegantly-appointed bedrooms (some with freestanding baths), a comfortable lounge with an open fire – and an open bottle of Port – and a candlelit restaurant serving some of the best wines of the region, including Chardonnay, Pinot Noir and Cabernet Sauvignon. Housed in an ancient 17th Century monastery, Relais San Maurizio’s three sprawling properties, with original ceilings, antiques and rich furnishings, have been sympathetically modernised. Dine in view of the monastery’s cloisters at Le Truffle Bistrot or wander around the property’s monastery park and organic garden, with its olive groves and strawberry plants harvested to produce fresh fruit for the hotel’s restaurant. You won’t be offered a glass of wine at the Health and Wellness Centre – which focuses on anti-ageing and preventative health through internal and biological medicine – but, come evening, you can sip a glass of white Muscat around the outdoor heated pool surrounded by Moscato vineyards. If ever there was a hotel befitting a modern metropolis, its Spain’s Hotel Marques de Riscal. Set in the hills of the Riojan wine country, this Frank Gehry-designed masterpiece (see above) will take your breath away: imagine a square concrete building wrapped in oversized sheets of curved silver and purple metal that resemble a giant bow. 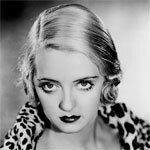 It’s as unusual as it is daring. 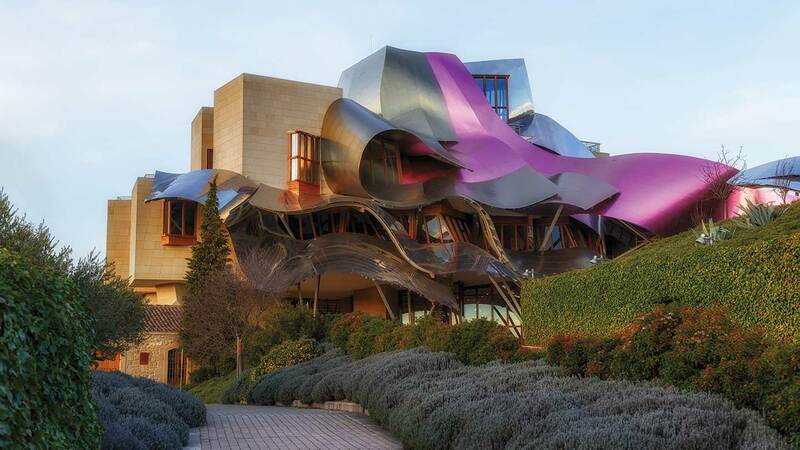 Marques de Riscal wine is produced on the same estate, while treatments at the spa include Red Wine Baths, grapeseed oil Caudalie Grand Facials and a permanent Vinotherapy pool surrounded by pillar-box red walls. Enjoy a tipple in the rooftop lounge afterwards and muse over whether the unusual, striking design is something that you love or hate (it’s love for us). 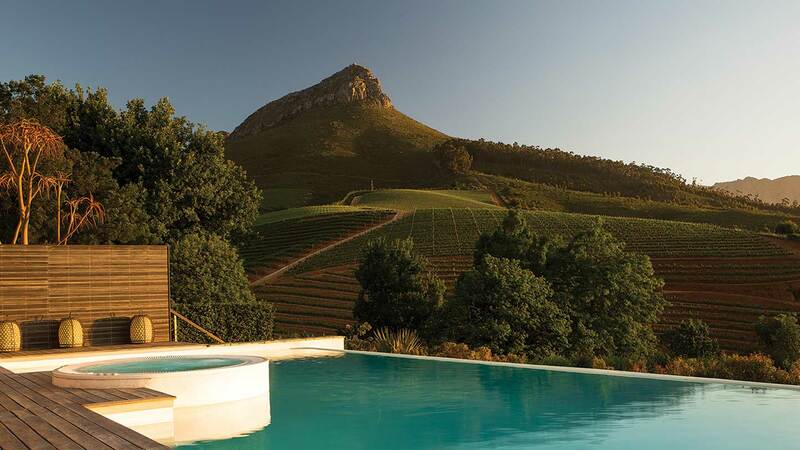 Less than an hour from Cape Town, the Delaire Vineyard was bought in 2008 by diamond mogul Laurence Graff and converted into an estate celebrating wine, art, dining and spa. Between Stellenbosch and Franschhoek, the 20 hectares of vineyards are planted with Bordeaux reds and Chardonnay grapes creating awardwinning wines. Accommodation is in fashionably pared-back lodges each with their own sundeck and heated plunge pool. The Delaire Graff Estate Spa has a 22-metre infinity pool, Jacuzzi and sundeck which has sunset views over Stellenbosch and Table Mountain. Treatments are from Aromatherapy Associates, Swiss Perfection and South African brand, Terre D’Afriques. Finish your day with a walk around the botanic gardens with 350 indigenous and imported plants or a browse of the Graff diamond boutique, budget dependent. A world away from the traditional Austrian wooden chalet, the Steve Holl-designed Loisium Hotel stands out with its glass cubes set one on top of the other like building blocks. The Langenlois resort has a hotel, 1,200-metre wellness spa, wine school and wine experience centre. The Loisium Langenlois vineyards, just in front of the hotel, have heritage from two wine growing regions: Kamptal and Southern Styria. 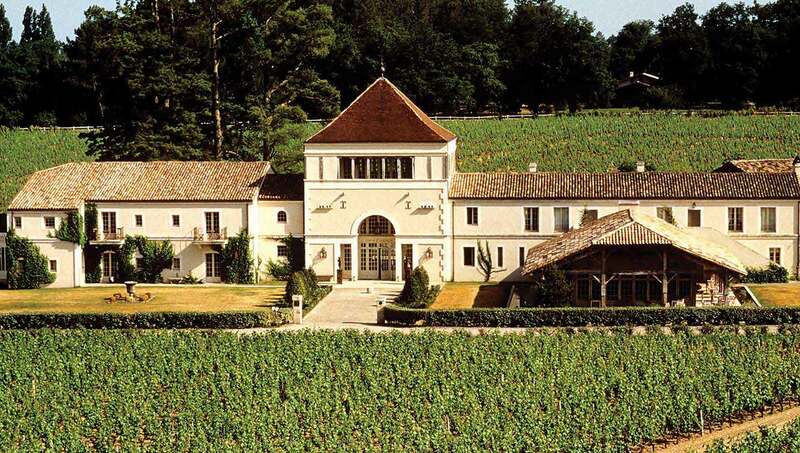 Swim in the hotel’s outdoor pool alongside vines heavilyladen with Riesling and Sauvignon Blanc grapes. 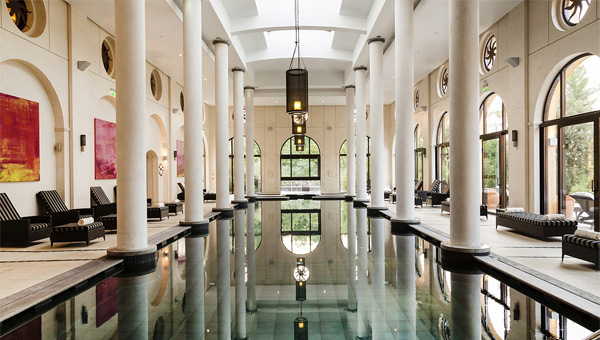 At the spa, choose from a Grape Elixir massage or facial, or a Riesling Wine treatment – a massage using oil made with grape skins, followed by a glass of chilled Riesling which you can sip from the comfort of a pool lounger.